In 1937 William Rose Benet sent a young Yale graduate student, Norman Holmes Pearson, to interview the sophisticated expatriate poet Hilda Doolittle during one of the few trips she made to America after going abroad in 1911. Until her death in 1961, they engaged in a prolonged and wide-ranging relationship vital to H.D. 's development as a writer. Perhaps because she was absent from the American scene, H.D. was eager for more contact with American writing, and Pearson became her literary adviser, agent, executor, confidant, close friend, and self-styled chevalier. This annotated selection of their more than one thousand letters documents the dynamic between H.D. 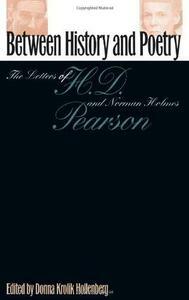 and Pearson, who became an influential literary critic, and anchors it in the broader literary world. 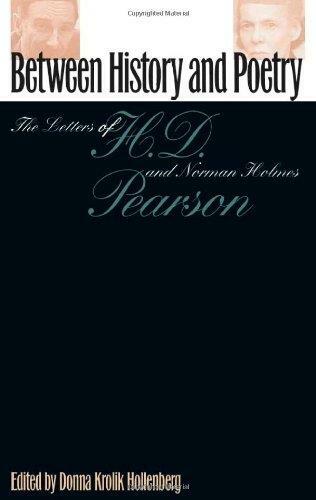 In her letters H.D. confided details about her works in progress, commented on her reading, and gossiped about members of her widespread literary circle. Pearson's responses sparked the conception of specific works and contributed to theform of others; he influenced the cycle of romances that reflected H.D. 's war experience and its parallels in history and, most significantly, was the catalyst for her return to poetry. His long-standing commitment to her work as reflected in these learned, witty, sometimes poignant letters ensured that H.D. would take her place as one of the major poets of this century.